The head of a magnificent turkey, as usual looking very peeved. Is this not the face of a magnificent bird? Well I’m sure the lady turkeys think so, all puffed up and proud, strutting around. 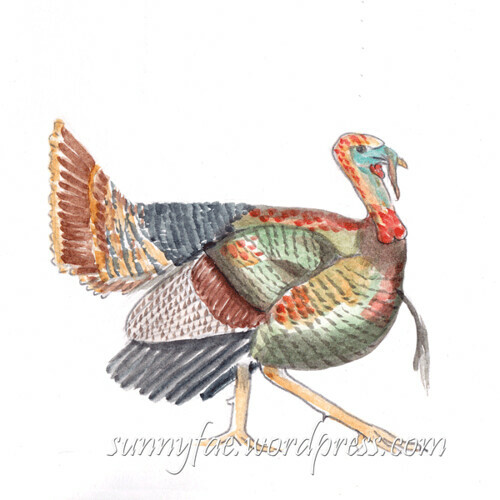 I took a few photos earlier in the year (maybe March or April) and drew some turkeys in my sketchbook, (posted here). I decided to draw them again and see if my skills had improved. 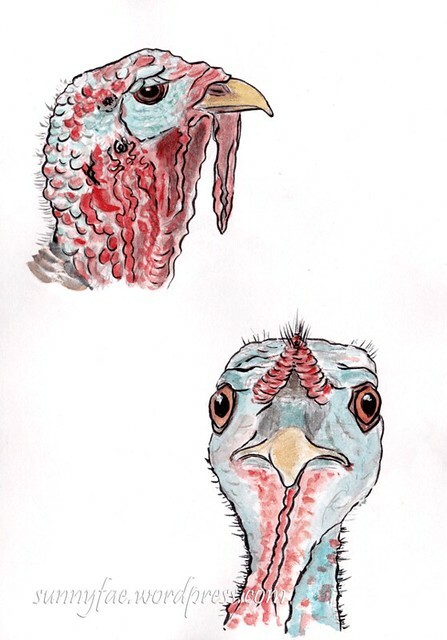 Sketches of two turkey heads. There’s is a lot to take in to account with turkey heads, wrinkles, the wattle, the snood, feathers. It’s interesting to try to capture all of these things on one head. Then there’s the fact that they always look so peeved. 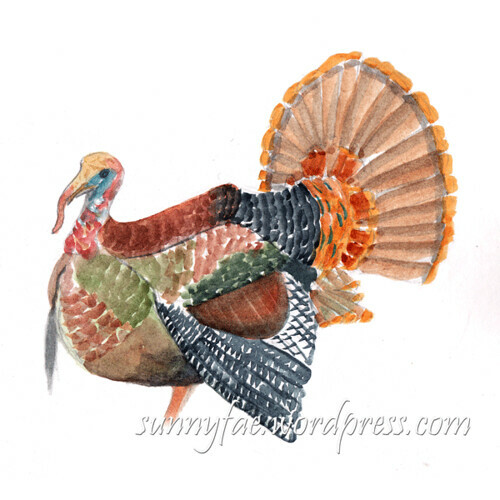 I wanted to draw some full body turkeys; the iridescent plumage is so beautiful and colourful and really do give an exceptional display. I didn’t outline the full turkeys with a brush pen I wanted to see how they would look without the lines. I’m not sure I have the skills yet to fully show the beauty of the plumage yet, but it’s fun trying. Nice turkeys, I really like how you did the colour in these. 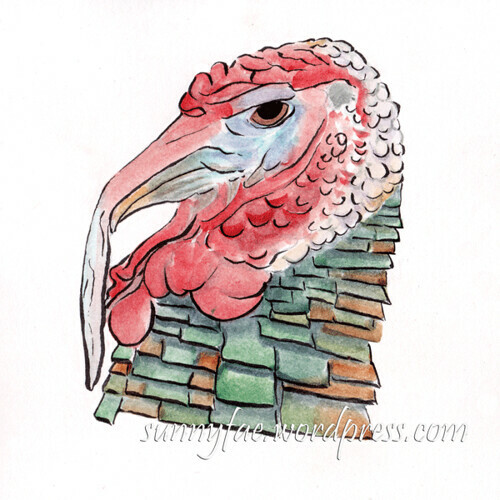 Really liked the first of the two turkey heads. Is he down for Christmas dinner? Very distinguished birds, and you have depicted them well!